Power equipment manufacturer REO UK is calling for the drives industry to change its perception of UL product safety testing and certification. The company believes that this key safety process is perceived to be red tape by many European OEMS and UK control panel manufacturers and systems integrators. In fact it is a key part of the process of selling equipment to the United States – which is still one of the biggest markets for automation in the world. UL is a not for profit company which helps to promote safe working environments. Its purpose is to safeguard people, products and places and facilitate trade. The UL Standard process measures and validates the performance and safety of industrial equipment, systems and services. OEMs in North America state that UL approval is often the minimum standard for any equipment used in the continent. This means that the level of certification is much higher in North America than in many other parts of the world. Although the process is seen as vital in this large market, it should also be considered as an essential procedure worldwide and not just unnecessary ‘red tape’, believes REO. “The UL Standard is crucial to all businesses which supply their products in large markets such as North America,” commented Steve Hughes, managing director of REO UK. “Here at REO we are able to facilitate that level of certification on our products which means that our customers’ export requirements can be met without any hesitation. “There is often a real stigma attached to something that costs a large amount of money but can be perceived as red tape, such as certification. This can be particularly true with bespoke products that cost tens of thousands of pounds to certify. It’s important for companies to understand that the market is able to justify this expense. 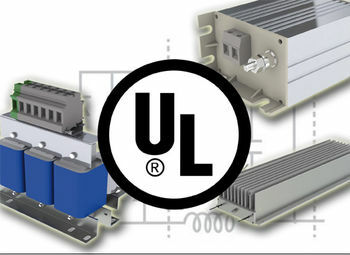 It seems to me that UL approval is both advantageous and straightforward. 1) Manufacture of a product using only UL approved components: By providing a bill of materials and list of corresponding UL file numbers, REO makes it easy for its products to be incorporated into the OEM’s own scheme. As most of our products are designed and manufactured in a compliant way, this can usually be done quickly and easily. This process is especially useful when the complete product, of which REO’s contribution is just a constituent component, is going to be presented to an accredited laboratory for UL certification. 2) Manufacture of a product using an approved isolation scheme: This is especially relevant when using chokes and transformers. Using manufacturing schemes, which in themselves are approved by UL, allows REO to manufacture most of its components in a compliant way. REO has insulation systems suitable for 155 to 180 degrees centigrade, making it suitable for the manufacture of UL certified product. Again this can often be done without paying a premium, but sometimes creepage and clearances are larger than those of standard components and so dimensions of components can change slightly. 3) Full UL certification: This is the ultimate service level and is available on many of our products as standard. It can also be offered as an option on many of our bespoke products and designs. This usually involves direct liaison between REO and UL, and will often entail supplying many samples together with in depth documentation. The cost of this exercise can often reach tens of thousands of pounds and take months to complete. There is a big engineering burden and this should not be undertaken lightly; it is essential that the market will justify the expense. “Our team at REO have been able to retain customer confidence and restore peace of mind by having our components tested and approved by UL. It’s a great process that shows REO’s commitment to a high level of quality,” concluded Steve Hughes.